1. 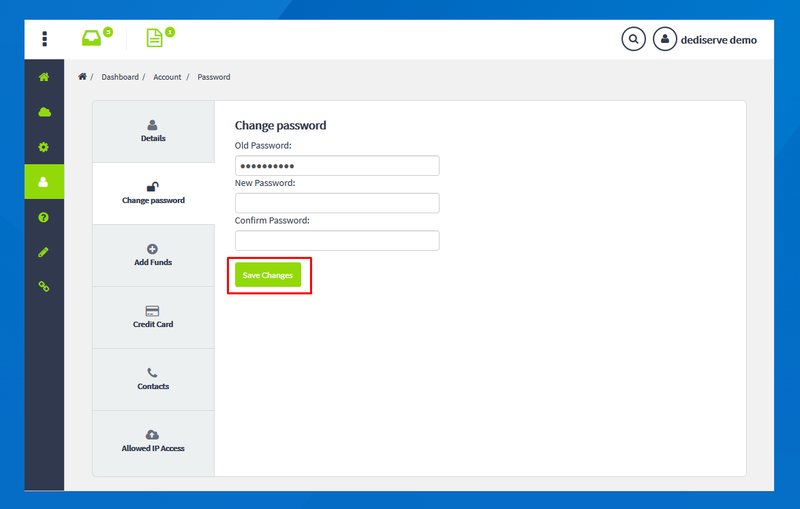 Using the nav-bar on the left-hand side, select "Account - Change Password"
2. 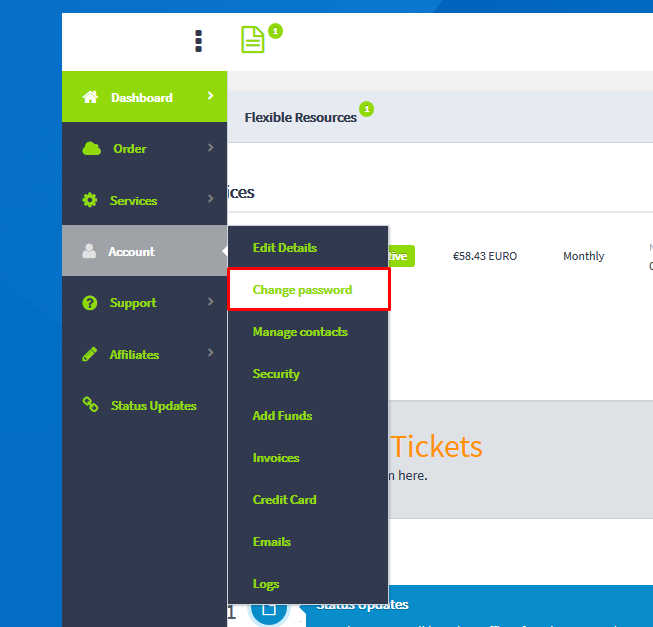 Enter your old password, along with the new password (twice) and click "Save Changes", the changes will take affect immediately. If for any reason you cannot gain access to your account to reset your account, please get in touch with our support team.